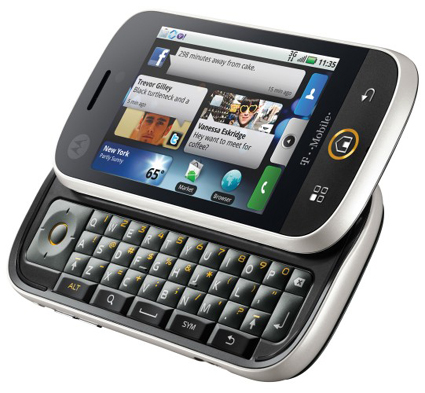 Those of you with a Motorola CLIQ will want to check your phone for new updates, as Motorola is rolling out version 1.4.8 to all users. Sure, it isn’t quite Android 2, but everyone loves bug fixes right? The 1.4.8 update provides improvements to the phone's battery, touchscreen, and Bluetooth functionality. The update can be installed over the air, which means you can get to it by going into Settings > About Phone > System Updates. You’ll actually need to install two updates, the second of which should be prompted. If is is not, just go to System Updates manually and grab it from there. Two restarts later and you’re up and running with the latest CLIQ firmware.